We offer a panel mounted remote control for the Atlas Switch Machine as used in model railroad applications. It includes a PC board mounted below the panel with LED indicators for switch position along with actuating switch. Two wires needed to connect to each switch machine. This control operates in parallel with the actual Atlas switch machine. This approach resolves the hot switch machine experienced with other products! May be used with one or multiple switch machines. The limit is determined by the transformer supply. 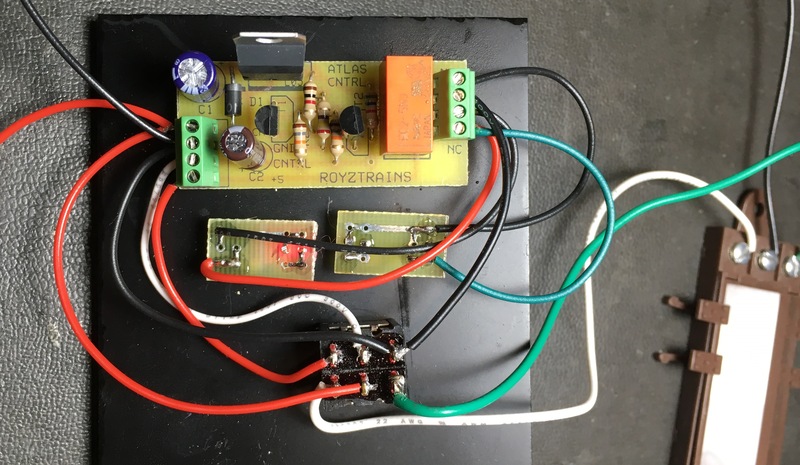 The kit will also operate the NJ switch machine or may be operated with a capacitive discharge supply. Each kit includes the PC board, control panel switch, and red/green LEDs with current limiting resistors pre-mounted. Instructions included of course! 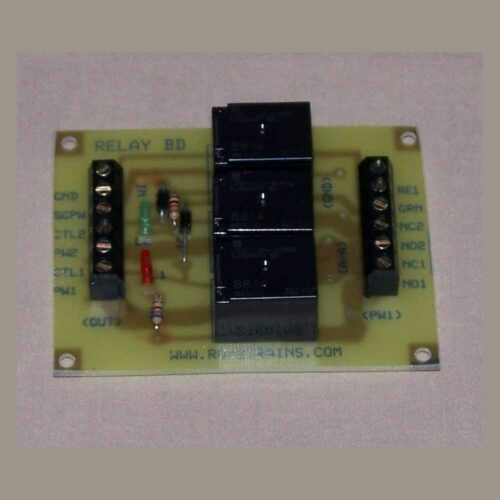 The PC control board has screw terminals for ease in connection and double sided foam backing for easy mounting. If you are looking at large quantities or special orders, please Contact Us. We can provide customized pricing! 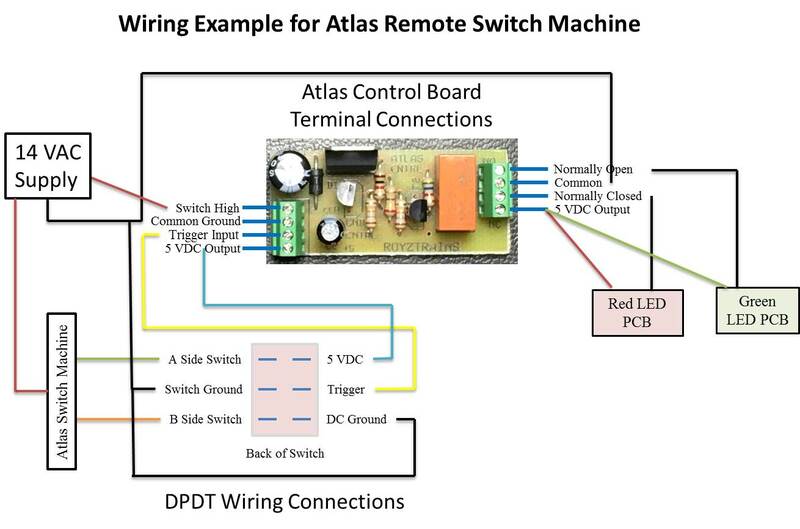 The Atlas Switch Machine Control kit includes full instructions detailing description and diagrams for several installations. 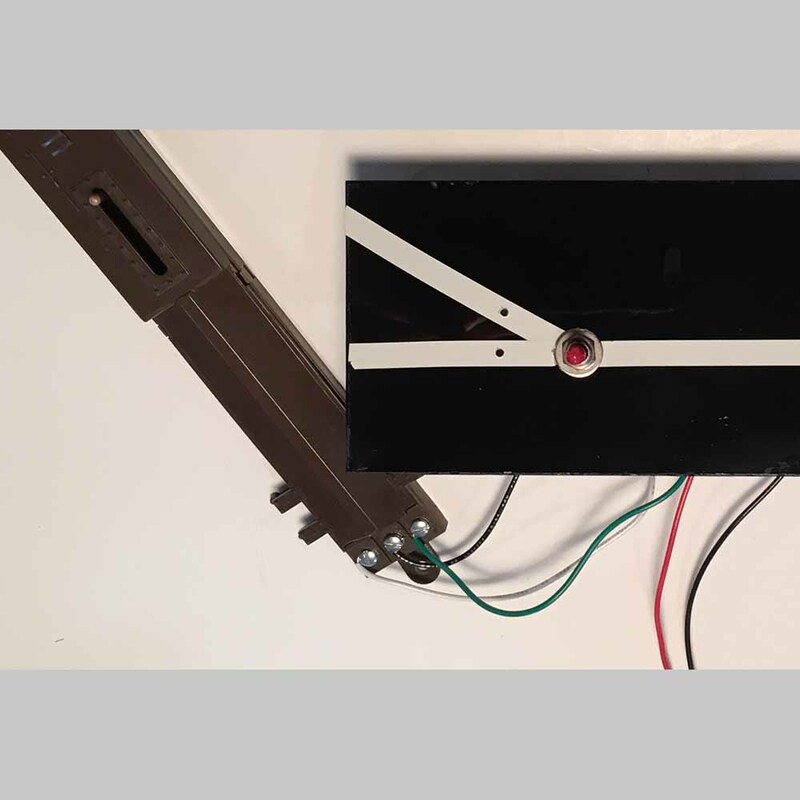 Below panel mounting is easy and quick with just three holes needed in the control panel. The supply for the control is the same as the Atlas switch machine and keeps the number of wires to the actual switch(s) to the minimum.